Home » Louis-Lazare Hoche 1768-1797. French Revolution History. 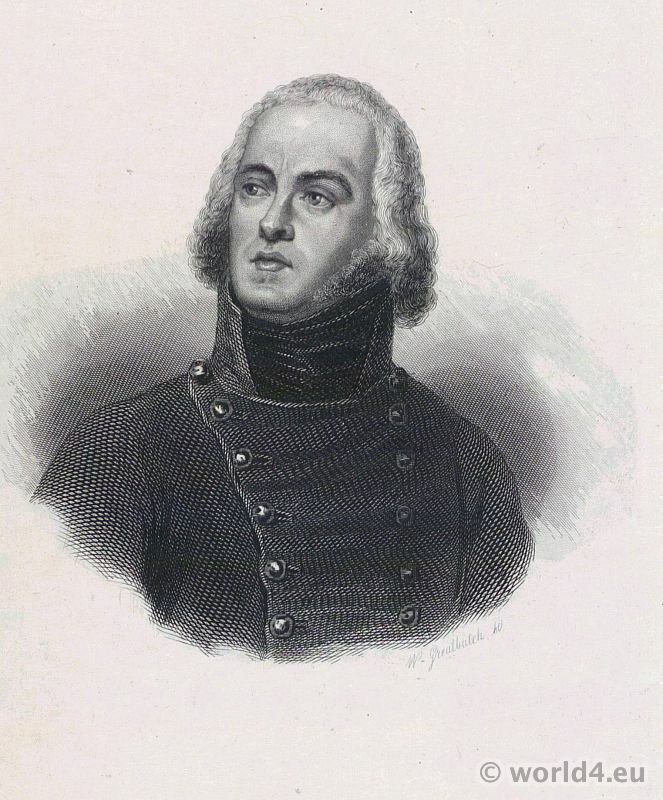 Louis-Lazare Hoche was a French general of the Revolutionary who was known for his level-headed actions in the suppression of the revolt in the Vendée in 1795 as the “pacificateur de la Vendée”. Hoche was the son of a former soldier and garde-chenil du roi (presumably. Overseer of the royal hunting dogs). After the early death of his mother, he was raised by an aunt who also paid him an education. A priest from Saint-Germain-en-Laye fell on his scholastic zeal and intelligence; he gave him lessons in Latin and aroused his interest in the ancient writers and philosophers. Hoche was 15 years old stable boy in the écuries de Versailles (royal. Stables) and entered the regiment of the Gardes Françaises-16-one. Its origin from very humble background was no obstacle for an amazing career in the revolutionary army. With 24 years (according to the Revolutionary calendar), he was already in the rank of general. Hoche is said to have survived two duels and two attacks. Hoche was 1797 – after centuries of feudal rule – the first civil government chief of the left of the Rhine parts of the country. His name is inscribed on the Arc de Triomphe in Paris in the third column. One of the great, leading to the Arc de Triomphe Paris streets, the Avenue Hoche. This entry was posted in 1790, 18th Century, Directoire, France and tagged French military uniforms on 11/22/14 by world4.